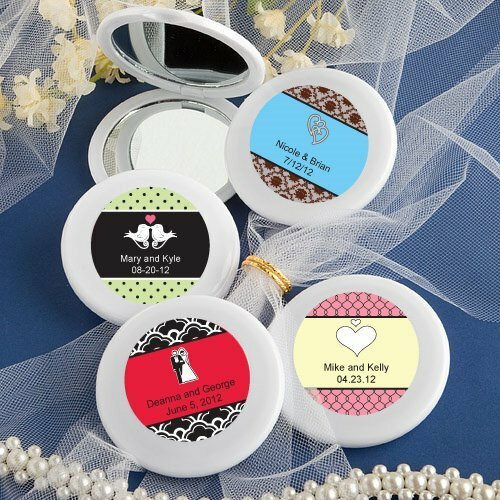 Reflect the love you feel for each other along with the love for your friends and family by giving them a personalized mirror compact. Perfect to slip in a purse or backpack, we have a great variety of design options to make this favor uniquely you! 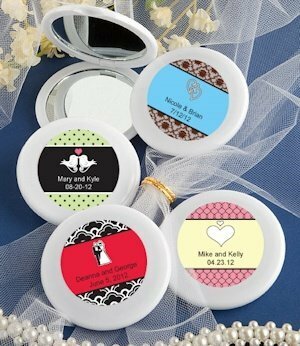 Each 2 1/2" round compact mirror has a double sided glass mirror interior with a sturdy white poly resin outer compact case, hinged for easy open/close. Personalization included, choose from a variety of designs and colors along with 2 lines of custom text to create a one-of-a-kind gift.